You are going to want to bookmark these Healthy 30 Minute Meals for Families! 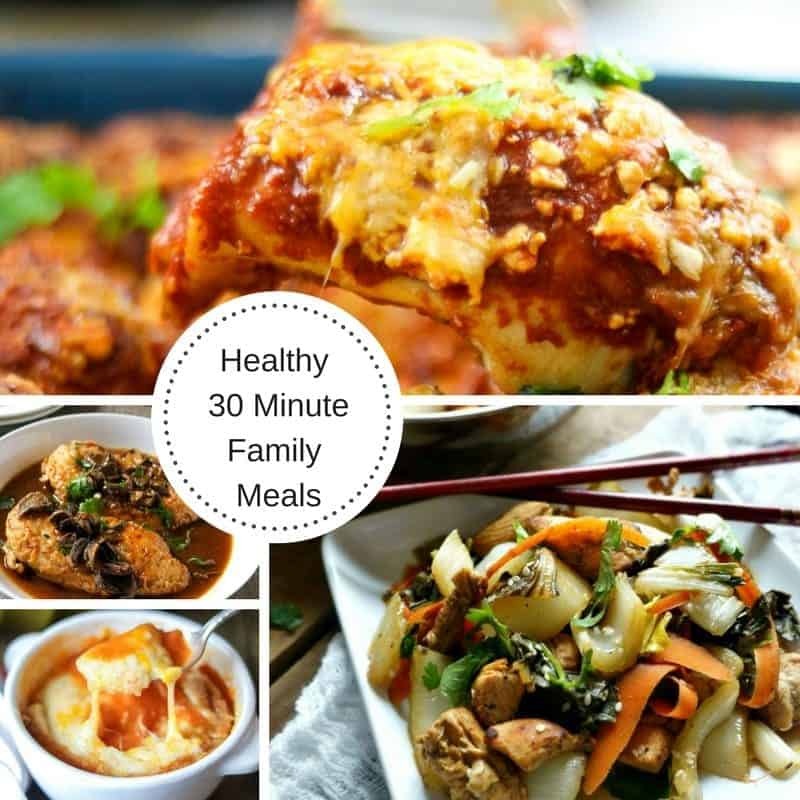 This collection of quick and easy 30 minute meals is perfect for families, even families with picky eaters! Dinner always needs to happen–even when time is short. 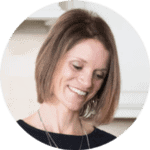 Whether you are a working mom, a working dad, a stay at home mom, stay at home dad, or a parent that dreads the inevitable dinner time meltdown (AKA “The Witching Hour), I have EASY, HEALTHY meals that your family is sure to love. Be sure to PIN this post for easy, quick reference! These Wholesome 30 Minute Meals, are made with simple, pantry ingredients and don’t require any fancy cooking skills, expensive kitchen tools, or exotic ingredients. Let’s skip the drive-thru and sit down together as a family and enjoy an easy, home-cooked meal that doesn’t require hours of work! 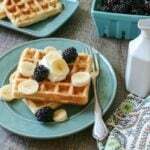 In case you need Gluten-Free Recipes, check out these Easy Healthy Gluten-Free 30 Minute Meals. Chicken is probably the first protein people associate with easy 30 minute meal. After all, chicken breast is one of the most purchased proteins and is so lean it cooks up in a matter or minutes. But also leftover rotisserie chicken is a quick 30 minute meal go-to. This easy Asian Chicken meal is perfectly sweet and a little sour for a balanced meal that is always a hit with the kids especially. Spicy, tender Buffalo Chicken is topped with a ranch slaw for one tasty spin on tacos. This is the EASIEST way to make Chicken Cordon Bleu–simply layer and bake. No breading, no egg wash, just simple deliciousness! 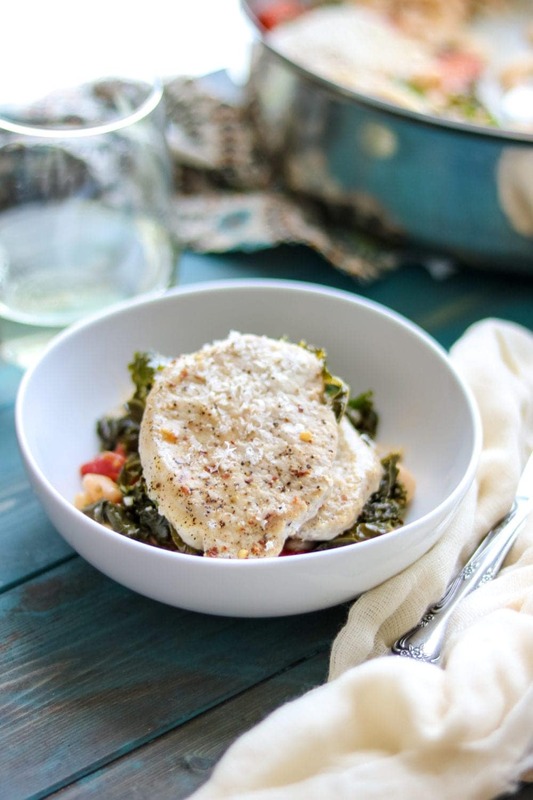 Chicken Casserole This one pot meal is a spin on the classic Chicken Poppy Seed Casserole just lightened up. Asparagus and chicken are coated in a sweet and tangy honey sauce for a quick and easy meal. These easy chicken kabobs will transport you to Jamaica, no passport required! This is the most flavorful chicken burger you will ever have, filled with cheese and barbecue sauce and topped with slaw. You don’t want to miss this recipe! Chicken breasts are stuffed with cheese and served over a peppery salad with a savory dressing for a light, yet filling entree salad. Bright, flavorful and perfectly balanced, this Orange Chicken is a great way to add flavor to family meals. This salad is one of our favorites. Chicken sausage, grilled veggies, and grilled bread are tossed together in an Italian dressing for one of the most flavorful, filling salads. Skip the rice and make Jambalaya a bit healthier with whole grain, high-protein quinoa. These tacos are EVERYTHING you want! Spicy chicken is cooled down with a fresh and sweet pineapple salsa. This chicken salad tastes like a fresher version of classic chicken Parmesan. This is a restaurant quality dish is worthy of entertaining guests but is easy enough for a busy weeknight. This easy fajita bowl is made with a few pantry staples and can be customized to fit a variety of palates. This one pot chicken and rice skillet is filled with Mediterranean flavors. Honey and lemon make a perfect thick sauce to coat perfectly cooked chicken cutlets–all in one pan! A lean chicken burger is topped with tomato sauce and melted cheese and served on a garlic toasted bun for fabulous spin on burger night. This easy stir fry comes together in just 15 minutes–it is a lifesaver on busy nights. Bonus is that it is also Paleo and Whole30 approved. This easy skillet is fresh and balanced. It is a perfect meal suited to families or dieters. This recipe becomes a staple for anyone that gives it a try. The secret ingredient will knock your socks off! This is one of our all time favorites. Sweet potatoes, black beans, and chicken are sauteed with taco seasonings and served with cheese. It is a one pot meal that is welcome any time! My kids absolute favorite meal! These chicken tenders are baked to perfection and just as crispy as if they were fried. Ground beef cooks up in a short amount of time and can become the base to so many easy meals, making ground beef recipes a busy weeknight’s dream come true. Note: If you foget to thaw out your hamburger meat (I am guilty of this many times!! ), check out my method for perfectly cooking frozen meat. This hamburger helper tastes a MILLION times better than any boxed mix, but is just as easy to make. These sloppy joes taste incredible and you will never believe what I use to make them healthier and more affordable! Classic beef stroganoff is lightened up but elevated in flavor. You will be blown away by just how good this Stroganoff recipe is. 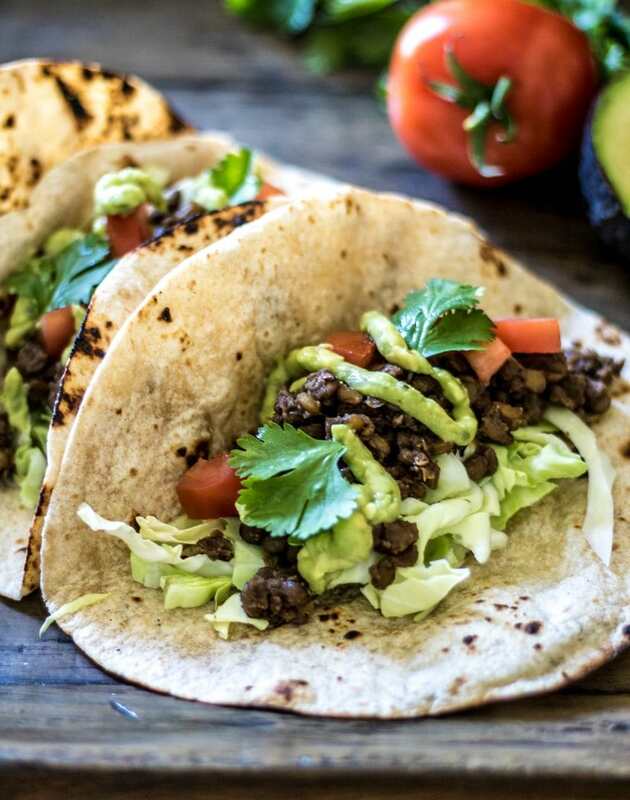 A simple recipe for taco meat–and a variety of suggestions on how to serve it up! While I adore slow cooked pork meals, like Pulled Pork and Pork Carnitas, I adore quick pork recipes that can be made with ham, pork chops or pork tenderloin. This ham and cheese sandwich is battered and lightly pan-fried. While a typical recipe for brunch, this take on a ham and cheese sandwich is a great way to change up dinner. One pot made with tender pork chops, greens, beans, and a rich broth, this meal feels elegant while being incredibly easy to make. It is all about the glaze on this Pork! Perfectly cooked pork tenderloin is paired with a delicious apple and sweet potato mash. Fish is such an important staple in a healthy diet. These easy fish recipes make it easy to get a healthy meal on the table in less than 30 minutes–perfect for the busy week. Affordable tilapia is flavored with olives, capers and tomatoes for a delicious and healthy recipe for fish. 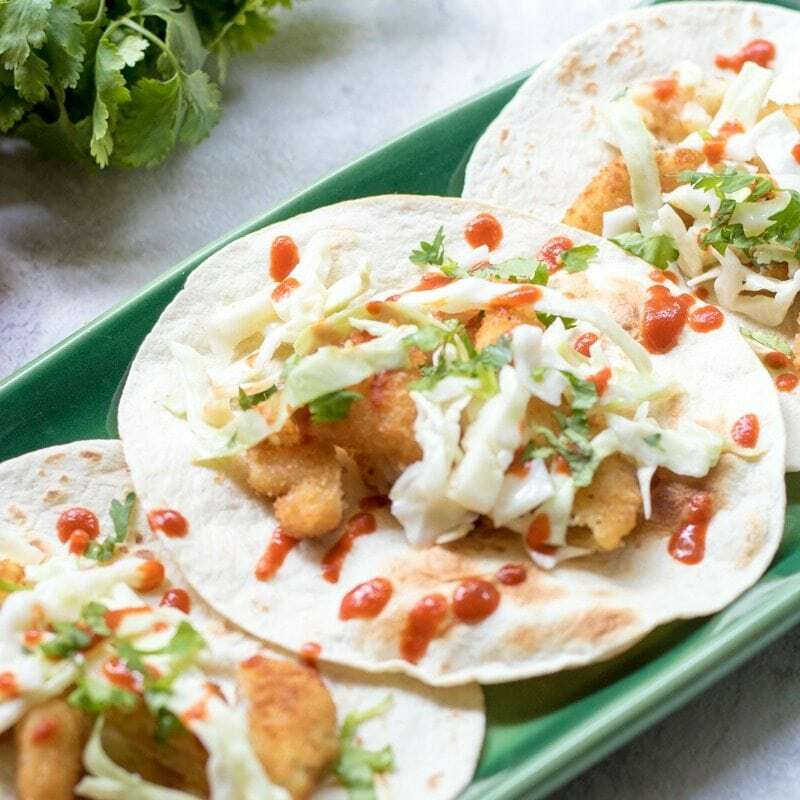 These fish tacos are a great way to change taco night up for the better! This simple avocado tuna salad makes a great filling for sandwiches or wraps and is a great light, summer entree. These Tuna Patties are incredibly flavorful and a fun dinner when served with an avocado dipping sauce. This tilapia is perfectly balanced with heat from the chili rub and sweet from the apple salsa. My family adores pasta. What is not to love about quick meals made with pasta? They are comforting and when made with whole grain pasta, pasta meals are a great source of protein and fiber. Not to mention very friendly on your wallet. One of my favorite pasta recipes! Made with a few simple ingredients that really shine when combined together. This soup is the EASIEST meal ever to make–but one my family begs for on a regular basis. Cheese tortellini is served in a rich broth over a light salad for a meal that excites the taste buds. A fresh Mexican Spin on spaghetti that is easy to make and fun to eat. Alfredo has been lightened up with vegetables and a lighter cream sauce, but it is still a luxurious dish. An easy, creamy pasta made right in the pressure cooker. Spicy, creamy and filling–this is another pasta meal that families love. A healthier and tastier version of a classic boxed meal. Pasta is tossed with tons of crisp, tender vegetables and a light Parmesan sauce. This pasta salad has an Asian twist with a Sweet and savory Sesame dressing. Everything you love about caprese in pasta form! Tastes like Panera Mac and Cheese, just without all the calories! Meatless Meals are a weekly must in our rotation. Not only are meatless meals budget-friendly and typically healthier, they are also often extremely quick to put together. 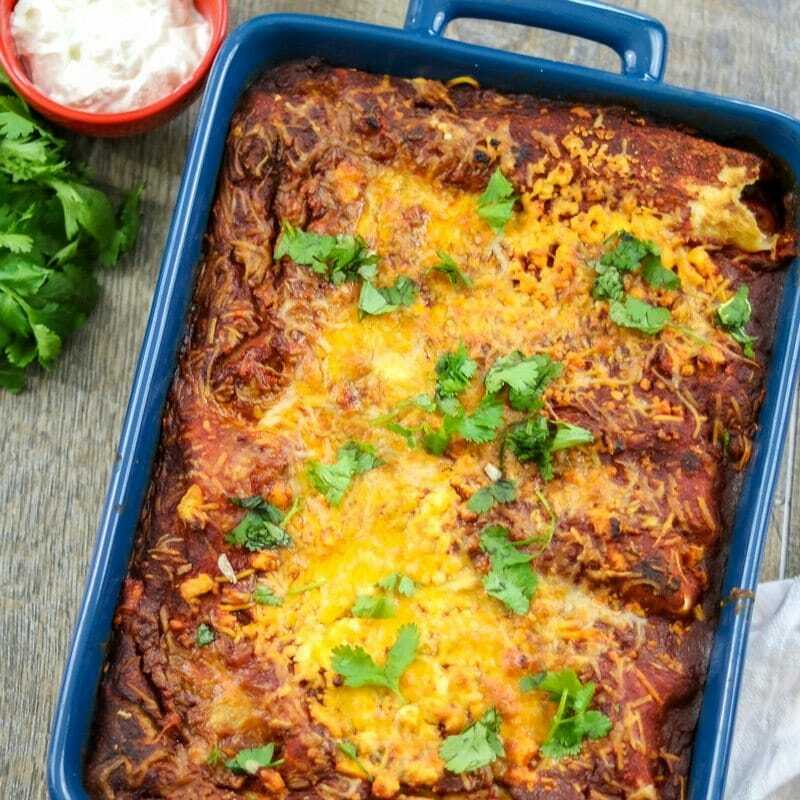 Pumpkin in enchiladas may sound odd, but the slightly sweet, earthy pumpkin makes a great filling for these enchiladas. Sweet potatoes and vegetables are sauteed together and then topped with eggs and a cilantro pesto for a hash that will wake up your taste buds. Sweet Potatoes and black beans pair PERFECTLY together, especially when seasoned with Southwestern spices. These easy burritos are filling and tasty! 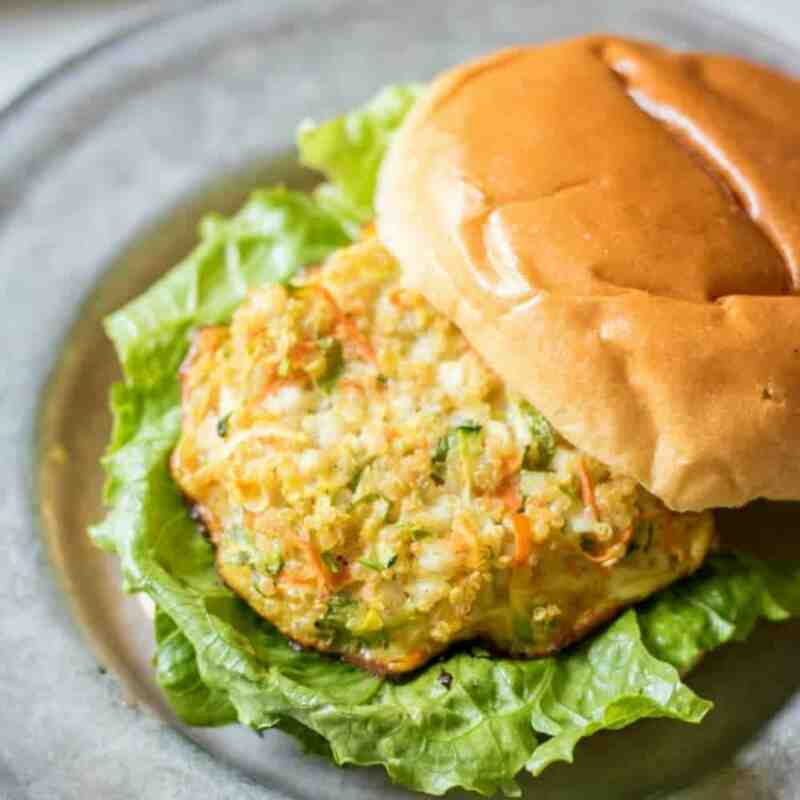 These burgers are incredibly tasty and filled with super foods. They are loved even by meat eaters! One of our favorite tacos ever! It is really all about that Avocado cream. This salad is light and fresh, yet thanks to high protein quinoa, keeps you full for hours. No one will miss the meat in this easy, healthy Veggie Chili. These tostados are like mini Mexican Pizzas that are irresistible with the kids! This soup is perfection on a cold winter’s night. Whether served as a side dish or as a main entree, this couscous salad is fresh and vibrant in flavors. A simple meatless recipe for taco night. No one will know there are veggies hidden in these bean burritos. Think French Onion soup, tomato soup style! Cheese and pumpkin puree make an unexpected pair in these healthy cheese quesadillas. Made with a rich mushroom broth and ramen noodles, this easy soup is better than any packet out there. These are quick easy meals that are made without any animal products. I can promise you that these meals are still full of incredible flavor and please meat eaters as well. A simple, yet satisfying meatless meal. Green tea is the base for this easy, and interesting Ramen Soup recipe. Mango brightens up a spicy rice bowl that is rounded out with protein from the edamame. It is hard to think it is possible to have soups ready in 30 minutes meals. Soups are often made slow and developed over hours of simmering. However, there are a few ways to enjoy easy soups within 30 minutes. In fact, my favorite soup recipes are made in less than 30 minutes. Simple, yet always a winner! 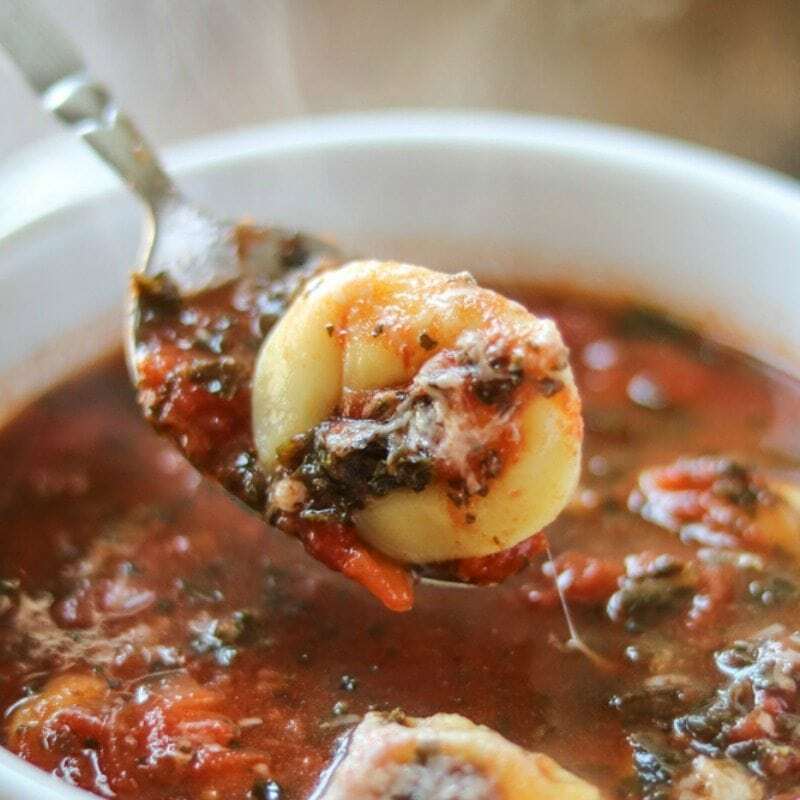 This soup is perfect for night’s you just don’t want to cook! This soup is all about that cheese topper!! It is a show stopper! This one pot soup is creamy and satisfying on a cold night. What could be more fun than dipping pizza into tomato sauce? Dipping Pizza Grilled Cheese into Marinara Soup!! This spicy, creamy Mexican Soup is a great way to use up leftover turkey (or chicken). Just like Panera’s Broccoli Cheddar Soup, just a whole lot healthier! Sausage and noodles are enveloped in a rich tomato broth that is topped with cheese–this soup is a favorite for a reason. Everything you love about a loaded baked potato just in soup form! PIN these easy 30 Minute Meals for future dinner inspiration!